Shalom from the end of an exciting, smooth, enjoyable and exhausting first day of our trip to Spain. From the minute the students alighted the buses (all on time and to their credit, very early in the morning at 5am!) things ran smoothly and we began our journey. Everyone showed patience when the security and check in at the airport proved slow going, and once we were through, we had some downtime to shop and eat. Our plane actually took off an hour late but the pilot managed to make up time in the air and we landed at our projected time of noon. Once we had changed money and found the right bus transport to the city center we boarded our bus, and despite the free Wi-Fi, we pushed ourselves to take in the sights from the bus’s windows of this new and exciting city and detach ourselves from our phones! 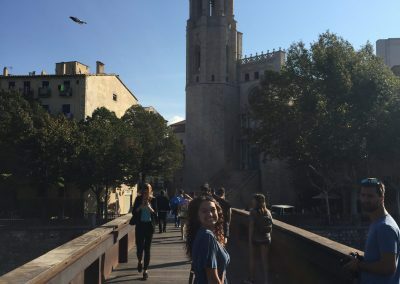 We alighted at the massive and stunning Place de Catalunya and had 90 minutes of free roaming and eating time on Barcelona’s main pedestrian thoroughfare, La Ramblas. Immediately the breathtaking beauty and Europeanness of our destination became apparent and the excitement was palpable. I urged everyone to try their best not to “eat American” (as the American food culture infiltration is as extensive here as in Israel) and try some local cuisine, and I believe almost everyone did so. I also urged everyone to be observant and pay attention to clues from the streets in order to try to understand Barcelona’s society. 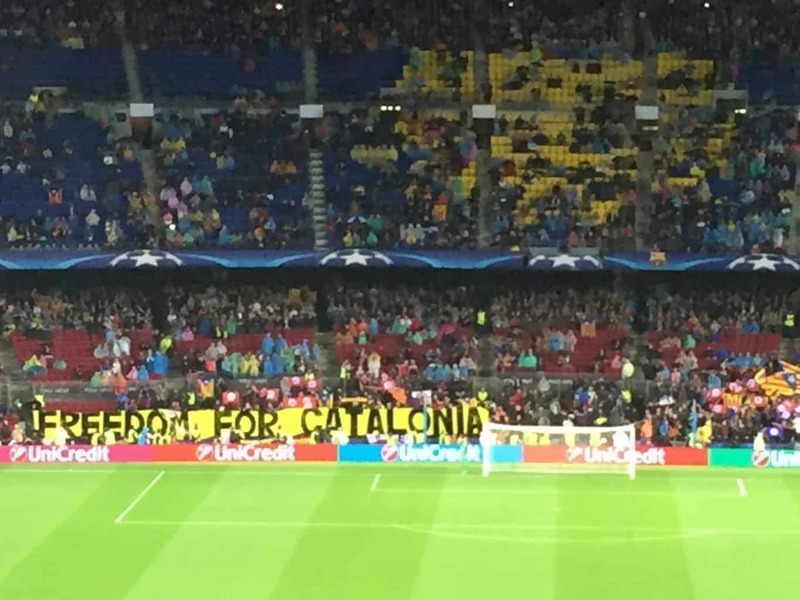 Whenever we have dead time we process and discuss and the most prominent thing that people are noticing is the vast number of Catalan flags (with very few Spanish flags) and the tremendous number of FC Barcelona (soccer) shops and shirts absolutely everywhere. I am personally looking forward to exploring them more in the coming days! 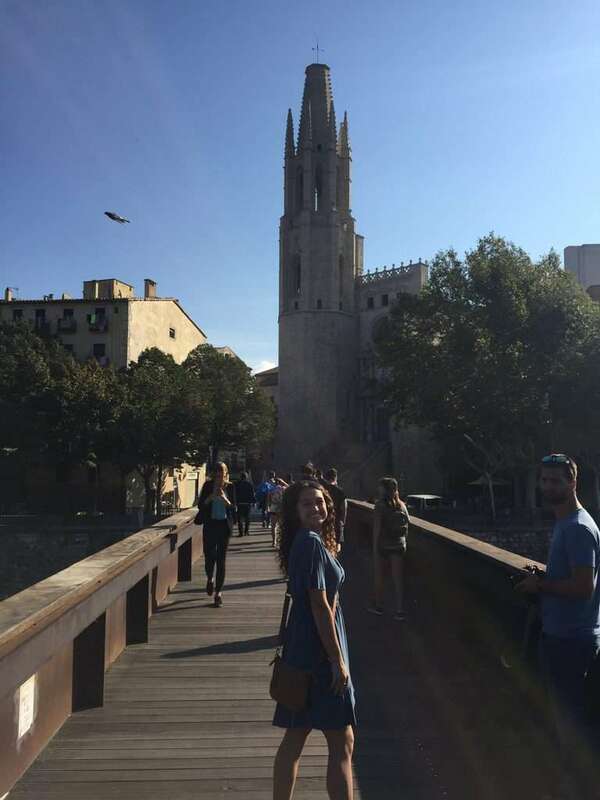 We then regrouped and walked to our hotel, which is about a ten-minute walk from La Ramblas. It is by no means luxurious, but it is clean, well located, and certainly adequate. We checked into our rooms and had a couple of hours to freshen up before leaving for our next adventure. We walked from the hotel for about half an hour (a lot of walking today and no complaining at all!) to Poble Espanyol. The site was built to recreate life in a medieval Spanish village. 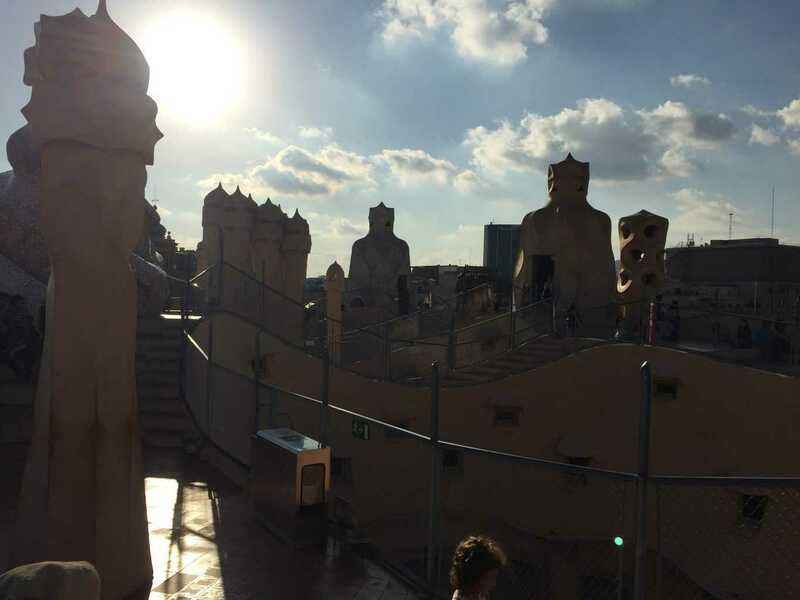 We thoroughly enjoyed exploring the winding narrow alleyways and marveled at the beautiful architecture while the sunset over Barcelona. 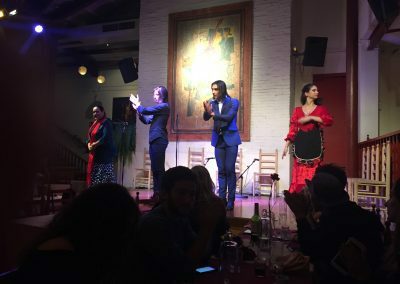 In Poble Espanyol we went to a Flamenco show and dinner theater. 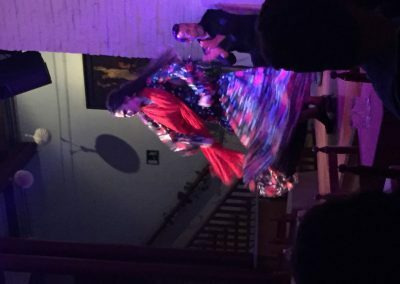 The food and performance were a new experience for everyone. 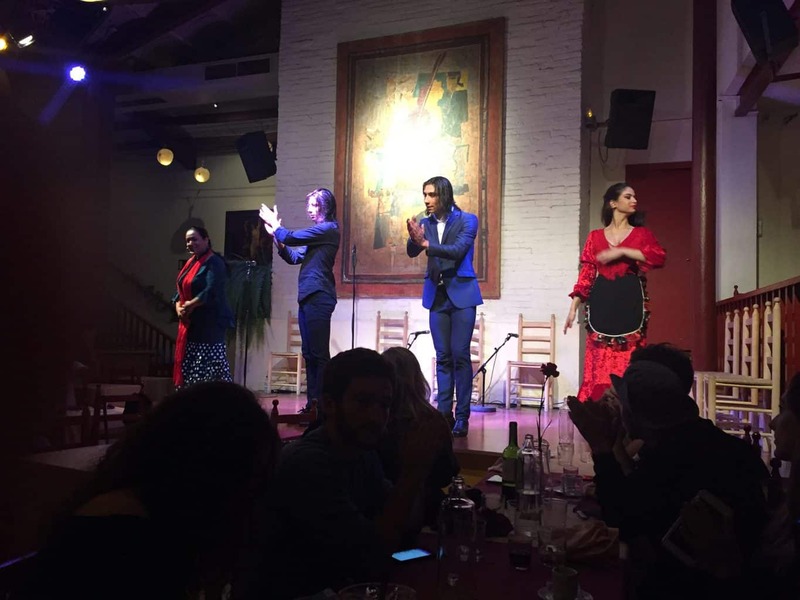 We had a 4-course meal with tapas, wine, and sangria. 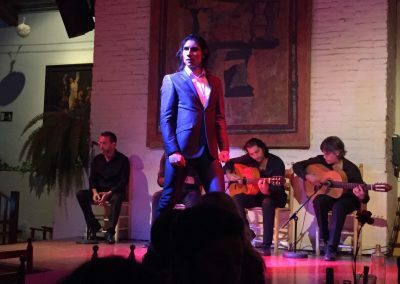 Everyone was blown away by the grace and passion of the dancers to the background of traditional Spanish guitars and vocals. 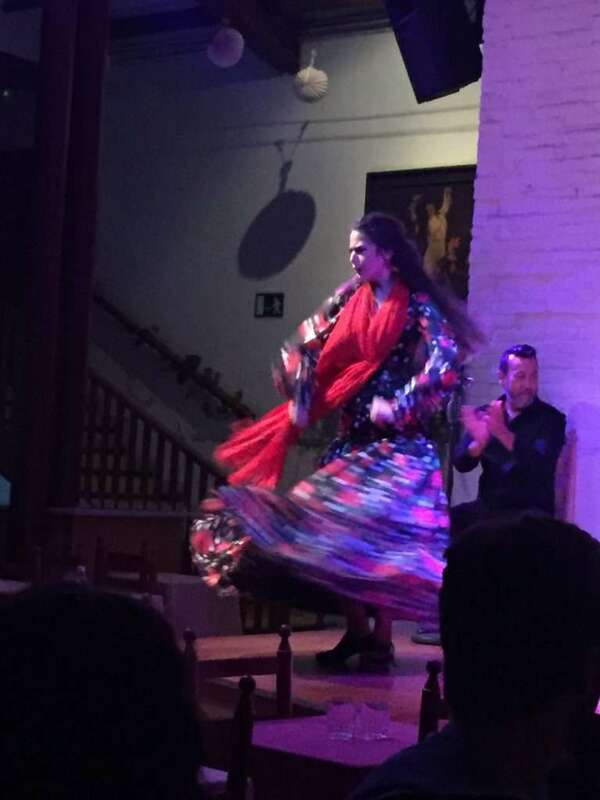 The music and the dancing was an incredible expression of the passionate temperament of this Mediterranean culture. 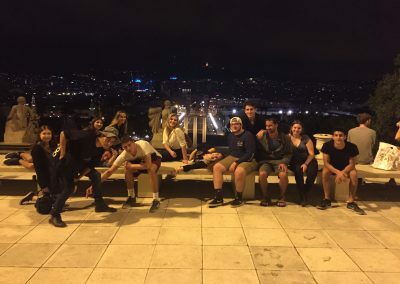 On our leisurely stroll home we passed the Catalan National Museum of Art and climbed the numerous steps to reach the top and take in the breathtaking view of Barcelona at night. It was a long exhausting day and most of the students have already gone to bed. Below you can find a few choice photos from the day. 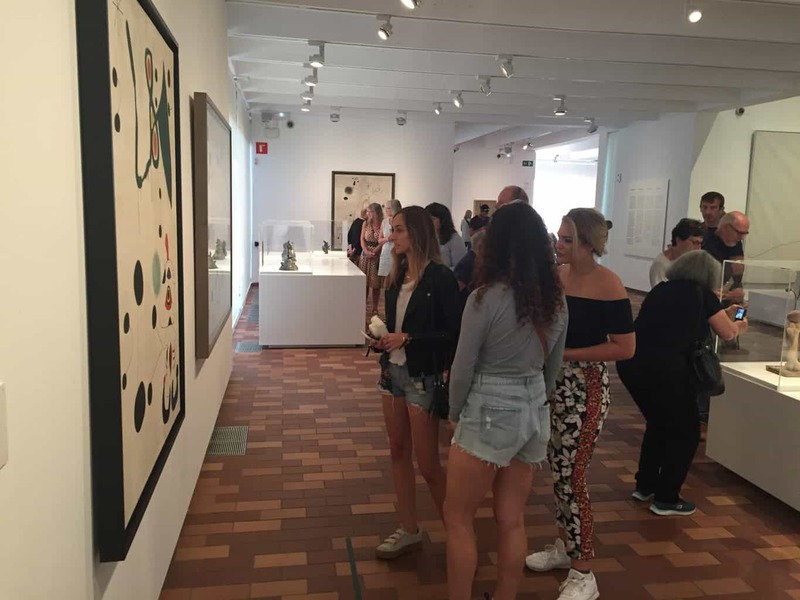 Tomorrow we travel to Girona for our own personal guided tour to explore points of interest in Jewish History and we will also visit the Salvidor Dali museum. We are all looking forward to the next chapter. 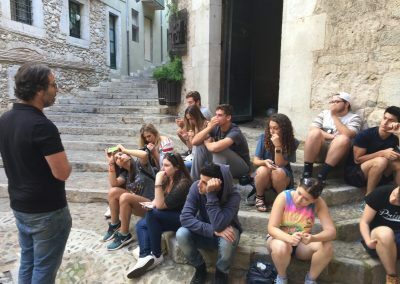 Despite our long day of traveling on Sunday, everyone woke up on time this morning and came down for a surprisingly tasty breakfast in the hotel and we were ready to meet our guide for the day, Adi, and embark on today’s adventure in Girona and Besalu. The drive to Girona lasted around an hour and took us through the beautiful Catalonian countryside, complete with rivers, streams, rolling hills, forests and hilltop castles. We even got to see the Pyrenees mountain range! Girona is a former Roman town that was a prominent center of trade late in the middle ages. It also had a sizable Jewish community until the Spanish Inquisition and the expulsion of the Jews in 1492. 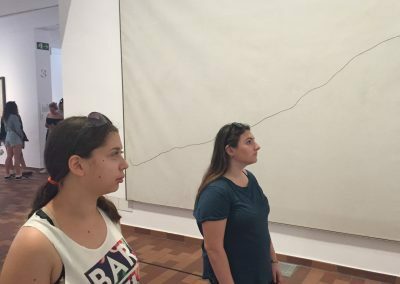 With the help of Adi, our Israeli Tour guide, we began to get to grips with the highs and lows of Spanish Jewish history. 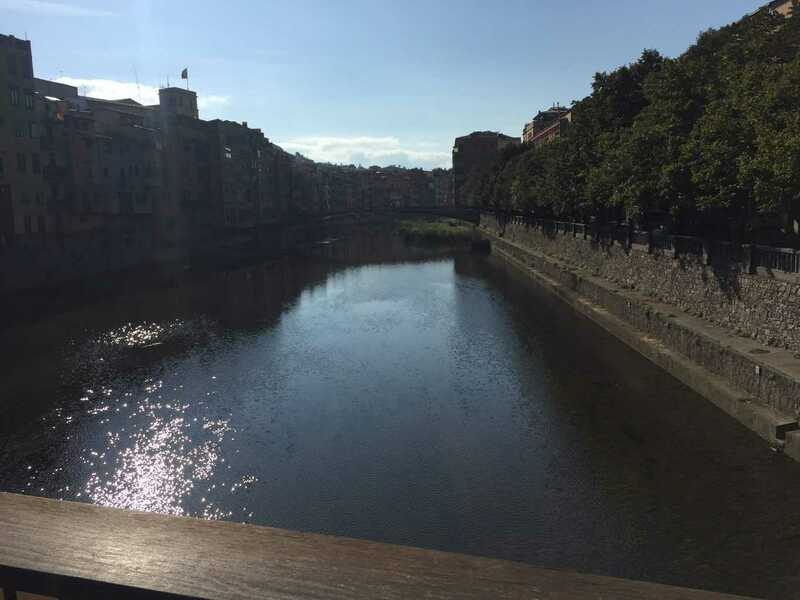 The town was very beautiful and a tranquil contrast to the hustle and bustle of metropolitan Barcelona. 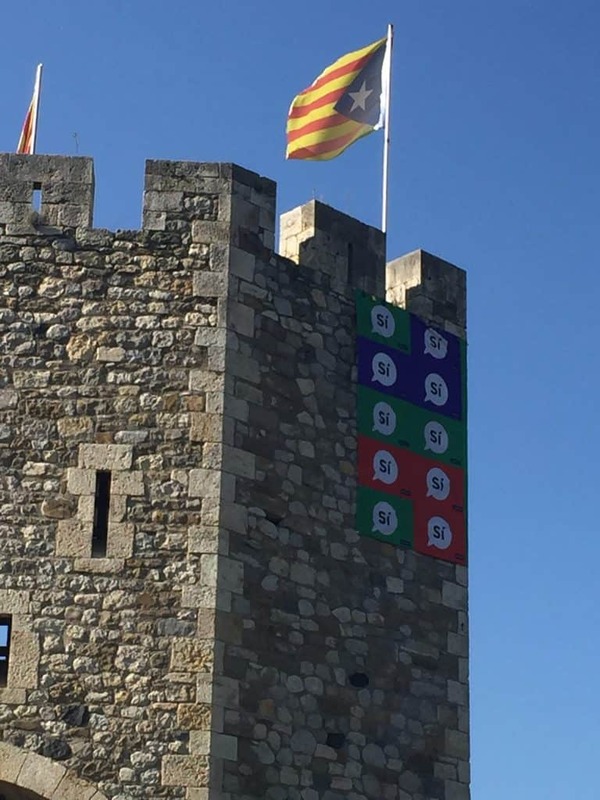 When we arrived in Girona the feelings of people towards the referendum over Catalonian independence became immediately apparent. 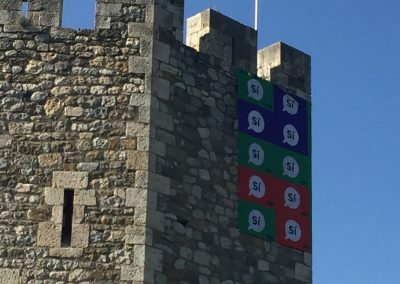 There were many houses proudly displaying Catalonian flags and various examples of street graffiti depicting the struggle for democratic rights and autonomy. It was good to have Adi, an Israeli who has been living in Barcelona for many years, to help us understand some of the issues surrounding the current events. This helped us later in the day when me met up with some Spanish Jewish students and discussed the issues with them. More on that later. 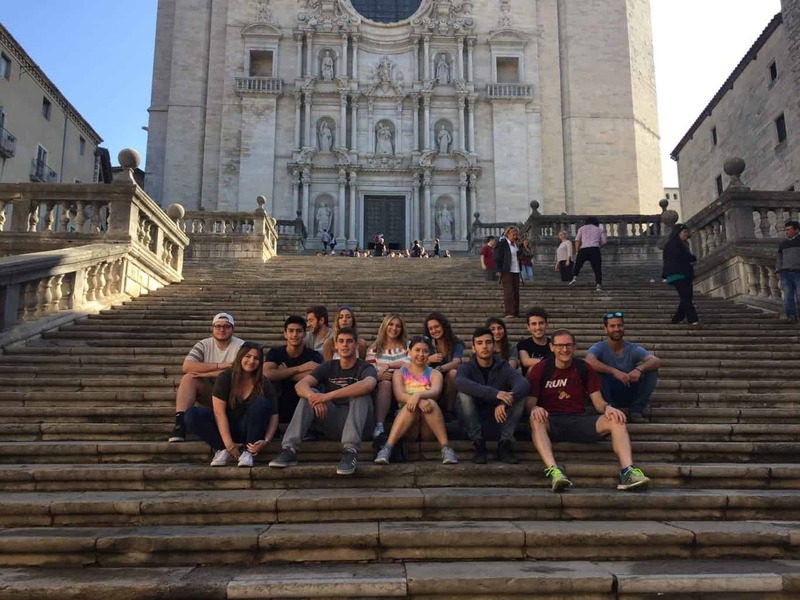 We explored the Jewish quarter together with Adi, and learnt about the history of the Jews of Girona. 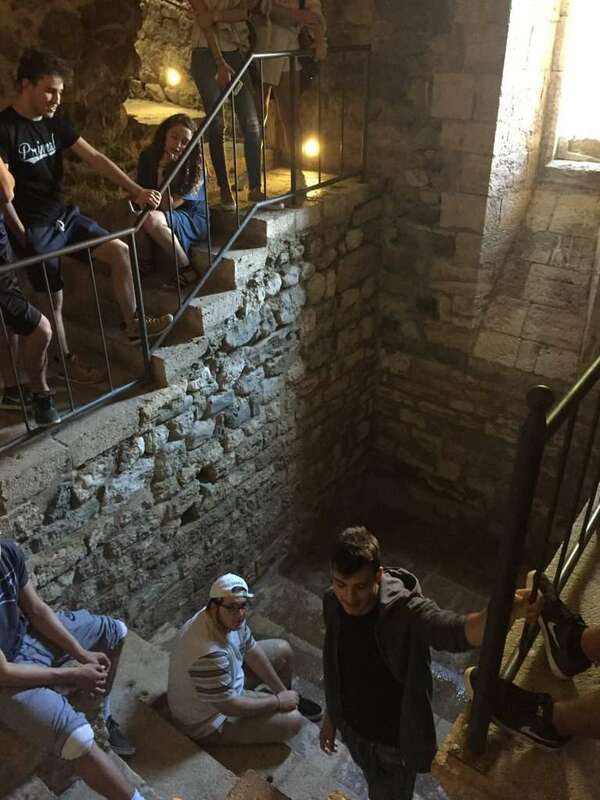 We learnt how to spot the telltale signs of a Jewish presence, the space carved in houses’ stonework for a mezuza. 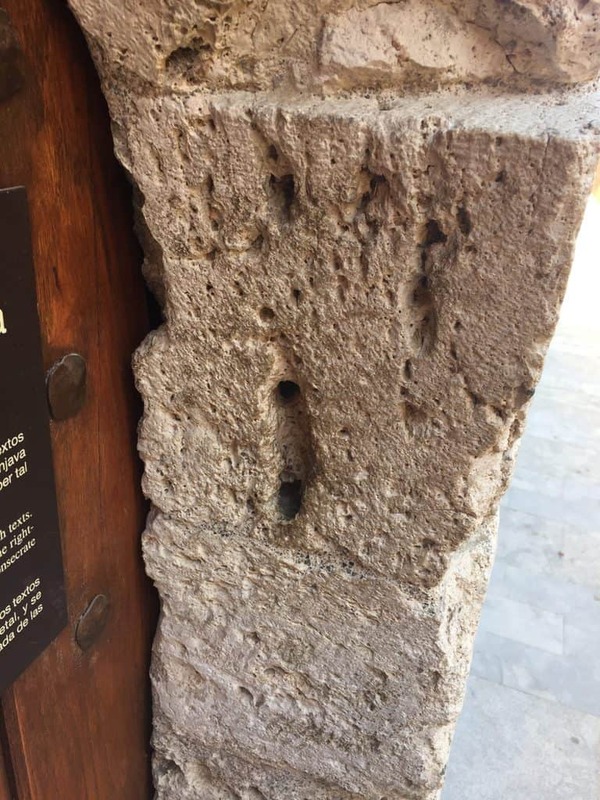 This was a powerful reminder that while Girona only has a handful of Jews today, the ghosts of a thriving Jewish community from more than 500 years ago can be felt everywhere you go. We learned that the windows of the Jewish houses had to be boarded up because the Christians believed that if Jews were to look on a wedding parade in the main street below it would be bad luck for the bride and groom. 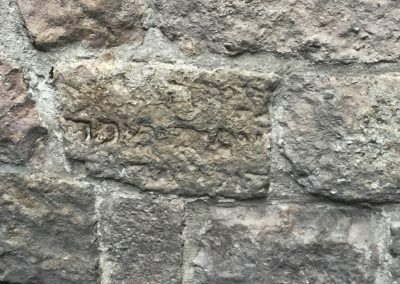 After our tour of the Jewish quarter, we visited the Jewish museum, which had remnants of an old Jewish house and very old gravestones that had subsequently been used for other things. These Jewish gravestones, complete with Hebrew script, were more than 500 years old! We talked about the Golden Age of Spain and the Expulsion and saw artifacts from all these periods. 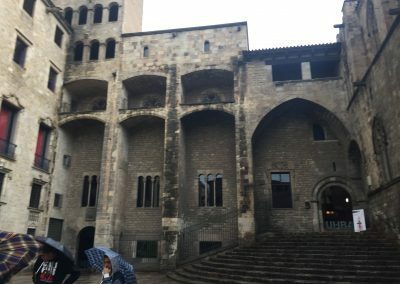 Then it was time for lunch in Girona’s square and there we learnt about Spain’s laid-back attitude… As we waited what felt like forever for our food and then the check. 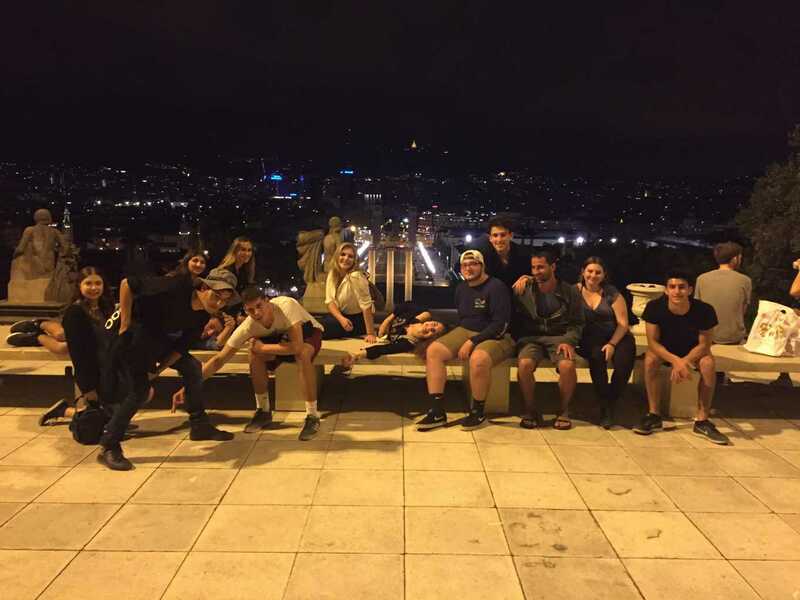 However, the truth is that it felt like a relaxing change of pace to the intense Israeli way of doing things. Next, I took the opportunity to give the students the chance to encounter the very famous Rabbi from Girona, the Ramban (Nachmanides) and to learn some of his teachings in the very spot he lived. Ramban was a very famous Jewish Talmudic and biblical commentator. In terms of Spanish Jewish history, he was the protagonist in a fascinating chapter – The Great Barcelona Disputation. In 1263 the Ramban was asked to come to Barcelona for a public debate on religion with the apostate Pablo Christiani, a debate that was held in the presence of King James I of Aragon. The three key theological areas of the debate were: 1. Had the Messiah already come? 2. Was the Messiah divine? 3. Which was the true faith. With great daring and courage, the Ramban led the fight against him and his religion, emerging from the debate with great honor. The day after the debate, the king welcomed the Ramban and gave him 300 maravedis (copper coins) for the expenses of his trip. However, when the Ramban recorded the details of the debate, the priests demanded that the king punish him for having attacked the principles of Christianity in the book. The King recognized the justness of his defense, but to satisfy the Dominicans, Nachmanides was sentenced to exile and his pamphlet was condemned to be burned. Ramban subsequently traveled to the Land of Israel to live out his remaining days there, reestablishing a Jewish presence in Jerusalem. To this day, there is a synagogue in the old city that he built called Bet Kennesset Ramban. We learned that he believed that all mitzvot practiced in the Diaspora were not worth anything, rather they were just practice for when we return to Israel at which point they will count. He also believed living in Israel to be one of the 613 mitzvot (which not all commentators agree on) and equal to all other mitzvot together. We discussed why he had these radical views, despite he himself still living in the diaspora when he wrote them. Perhaps this was just medieval clickbait to arouse discussion and emotion, or perhaps there really is some spiritual advantage to living in the Land of Israel. While we were at the mikveh, a sweet man originally from Indonesia, now living in Holland, was there with his family and began speaking to us. Once he realized that we were a Jewish group he shared with us his dismay and sadness at Jewish history, how Jews had been mistreated and persecuted for thousands of years in every country in Europe. We all agreed with him that it is hard to understand and results in a depressing and pessimistic view of humankind. However, I told him that the story has a happy ending as we are still here and stronger than ever as a people. Furthermore, as I told the group, this small insignificant moment, a conversation with a man from the other side of the world, gave me much hope for the good in humankind, as he showed us his humanity, and we connected with him over our history. 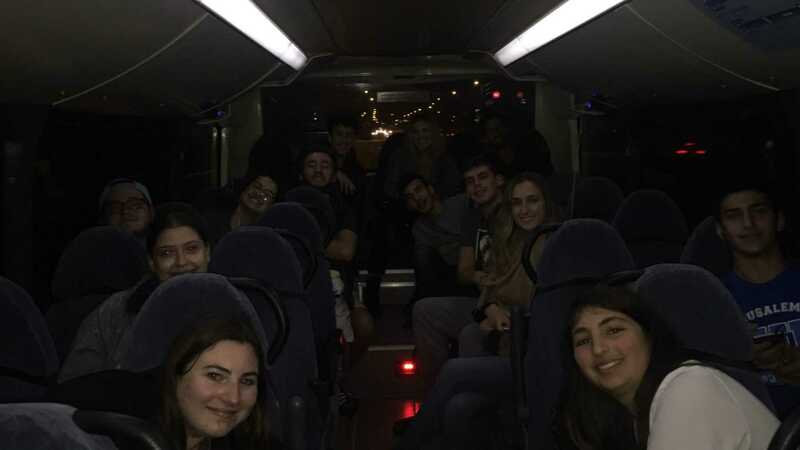 We then returned to Barcelona (all enjoying a good schluf during the hour and a half ride back) and after some free time to rest and freshen up in the hotel, went to the kosher restaurant on La Rambla for dinner. 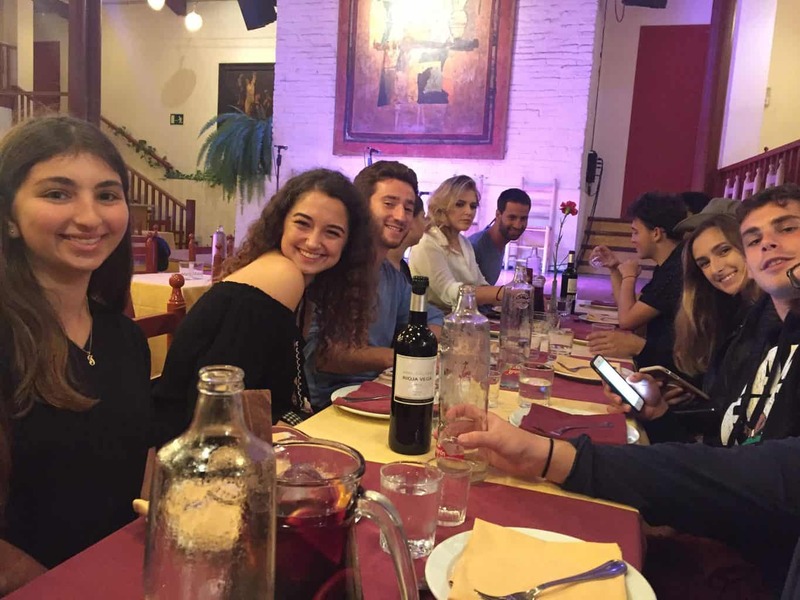 We were joined by some lovely Spanish Jewish students who we treated to dinner in exchange for being able to interrogate them about contemporary Jewish life in Spain, their family histories, and their thoughts on Catalonian Independence. One of them told us that her family can trace their roots back to Spain before the expulsion in 1492 when her family fled to Morocco. They returned 40 years ago and came back to where they were originally from some 500 years ago – to Catalonia. We thought this was a particularly powerful family story. Some of them voted in the referendum, but voted no. Others did not as they felt it was either pointless or a risk as the vote had been declared illegal. It gave us all a much more nuanced view on the issues than we had from just watching international news stations. All in all it was a fun and informative day. Enjoy the pictures of the day attached. Today, our first full day exploring Barcelona, was another great day. 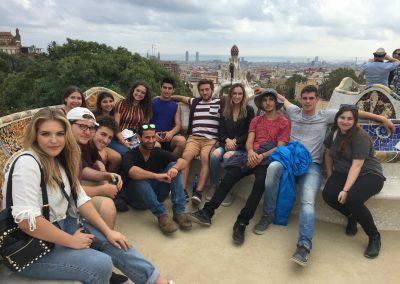 We are using the hop-on-and-off buses to get around Barcelona and see all of the city’s most important landmarks and sights. Furthermore, while on the bus we can to listen to commentary explaining everything we are looking at. It is an open top bus and luckily the weather has been superb. Perfect for touring. Pleasantly warm and sunny but not too hot. Tomorrow it looks like we may get our first rain of the trip with thunderstorms predicted (personally I find this exciting as I miss Britain’s rain (which is an almost daily occurrence!) but I am not sure the students feel the same way. Nevertheless, we will not let it dampen our spirits. We took the Orange Route westward through Mountjuic -“Mount of the Jews”, named after the Jewish cemetery that has been there for many years. 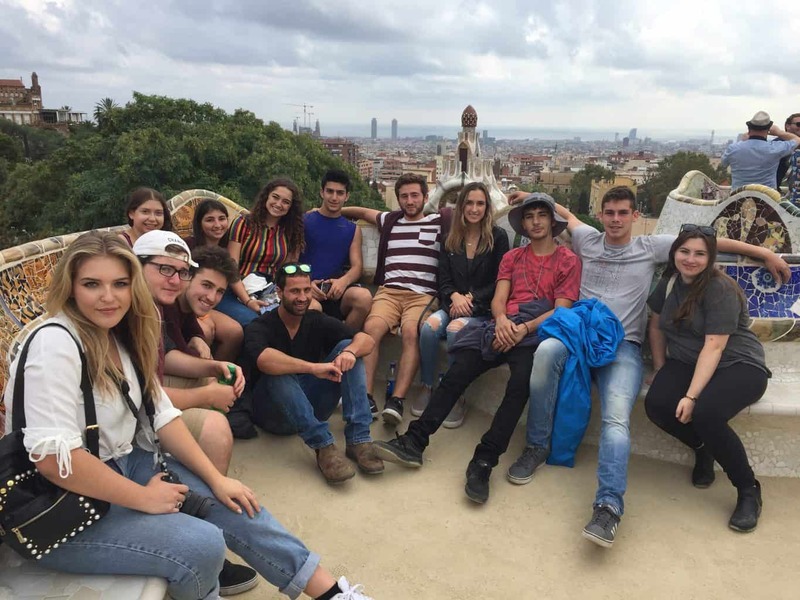 It is a very prominent geographical feature of Barcelona and the location of many very important venues and views to the city, the fact that it is named after the medieval Jewish community shows just how ingrained and integrated Jewish history and Spanish culture is. We drove through the stunning Miramar gardens and saw all the Olympic venues from the Barcelona Olympics in 1992. Like many Olympic cities, this was originally a depressed and run down area of the city until it was gentrified for the Olympics, and today it is still beautiful and well kept, some 25 years later. Another important site on Mountjuic is the Joan Miro Museum, and this was our first stop of the day. Miro was a famous and influential artist from Barcelona. 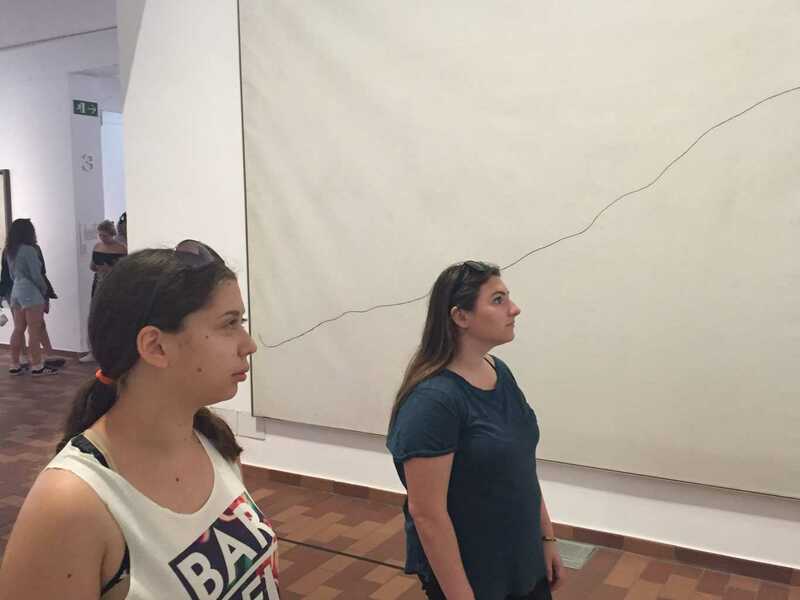 The museum is of contemporary art and his later work is often described as abstract. 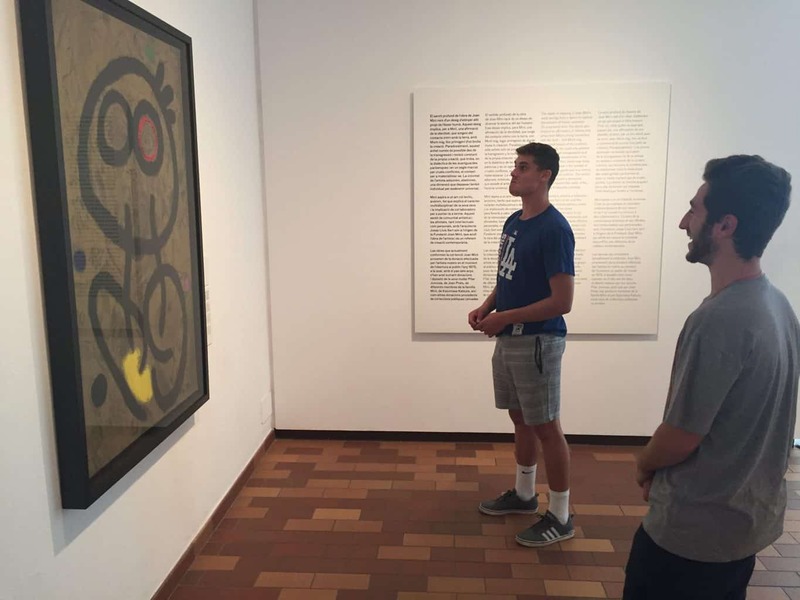 While his surreal and modern style of art was not to everyone’s taste, we kept an open mind and everyone agreed that it was a great opportunity to see the work of a famous artist. 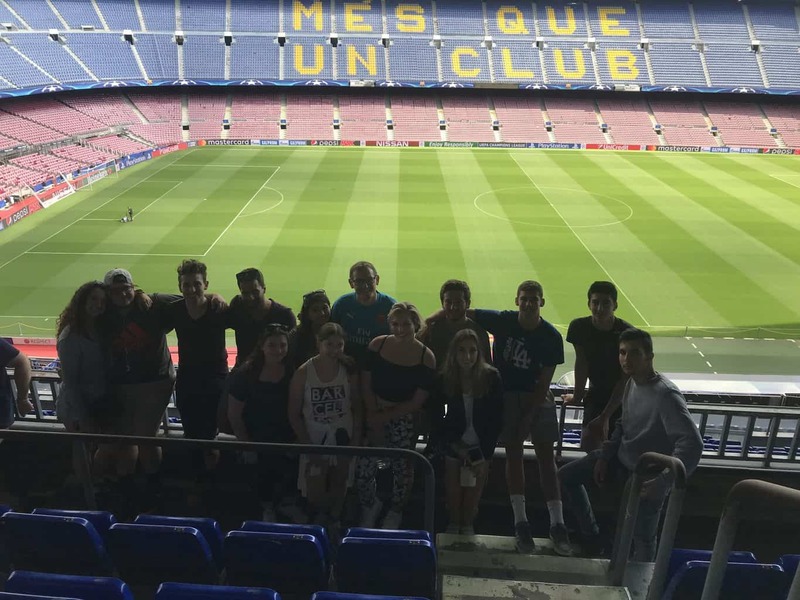 Our next stop was the famous Nou Camp stadium and I have to admit that I was worried my enthusiasm for football in general, and in particular this historic and famous stadium and football club, may have put some of our American students off either the experience or me! They probably all think I am slightly unhinged, but I hope my enthusiasm for this art form and culture was infectious enough to prepare them and excite them for tomorrow night’s game. 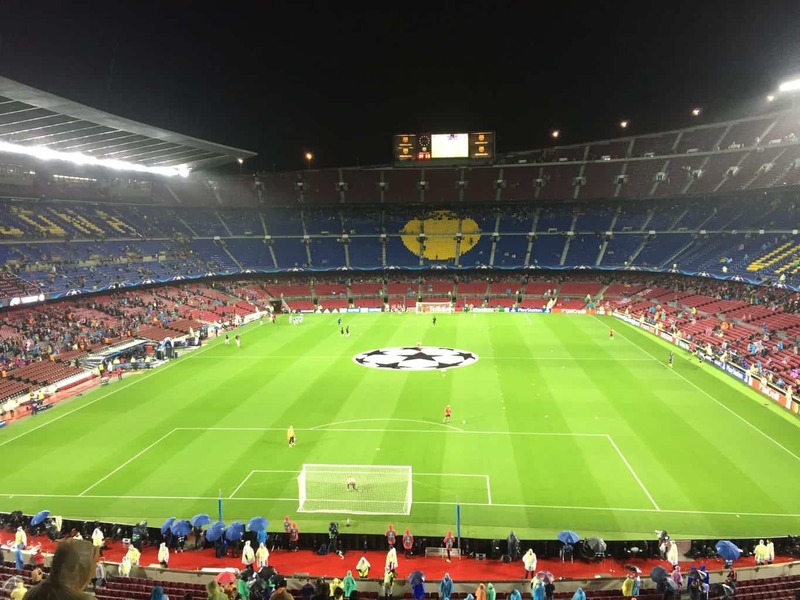 Barcelona is arguably the most famous and highest profile football team in the world, with the most number of fans across the world, and their stadium, a veritable cathedral in its own right, is the largest in Europe, with a capacity of 99,000. We will occupy 14 of those seats tomorrow night during the big game! 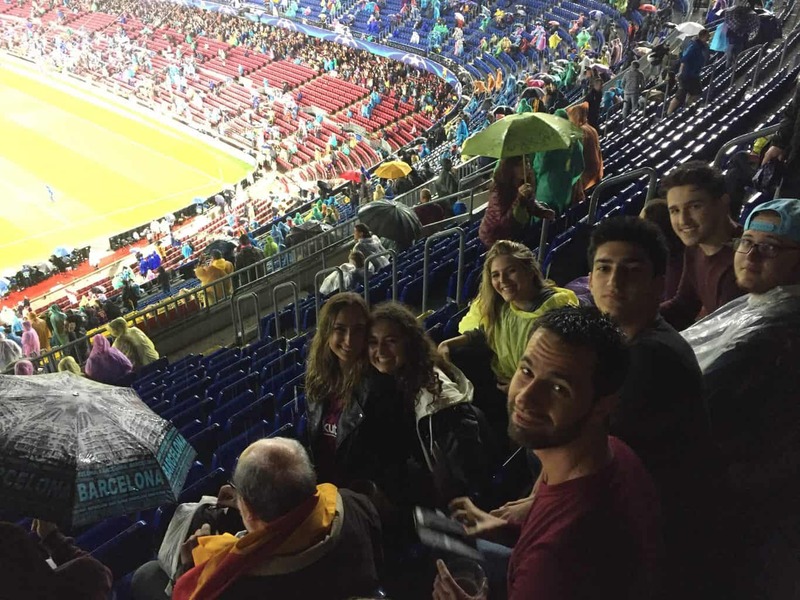 I wanted to frame the visit and tour of the stadium by sharing my experience and connection to sports arena and stadia, and we had a short limmud session that I entitled “The Holiness of the Football Stadium”. The premise was that even an empty stadium has the ability to generate a spiritual experience, because of the power of the people that are connected to it. It is the human beings and their hopes and dreams and passion that generate the spiritual feelings that sports fans feel when they enter the sports arena. I suggested that this spirituality can be found in all human art forms, from modern art, to architecture, to sports, to religious worship and places of worship. These are the themes of our trip, and I encouraged everyone to try to connect to the people behind the sites we were visiting. 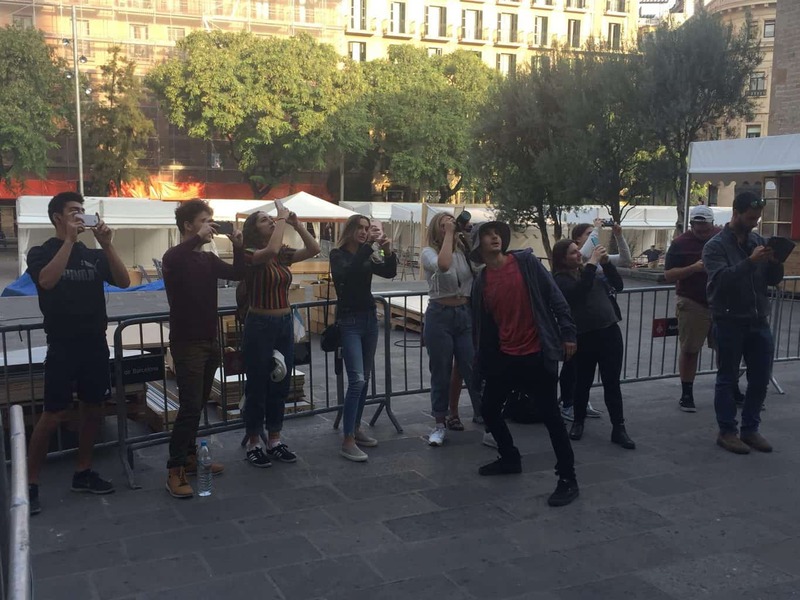 We then visited a large shopping mall called l’illa Diagonal for some lunch and shopping (another art form according to some in the group… I will leave names out here). 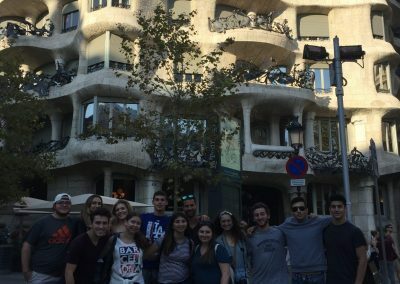 After some retail therapy, we got back on the bus for our last stop, the Casa Mila/La Pedrera. 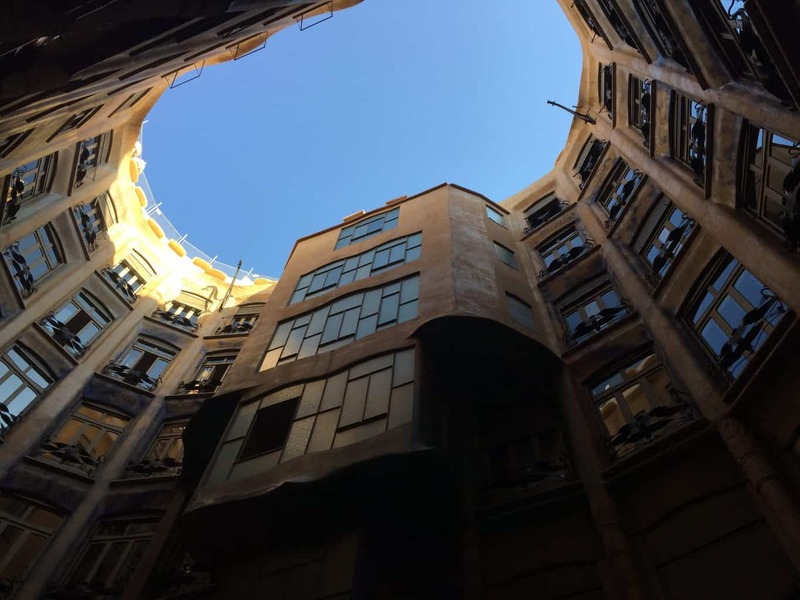 This is a private building wholly designed by the famous artist and architect Anthony Gaudi. 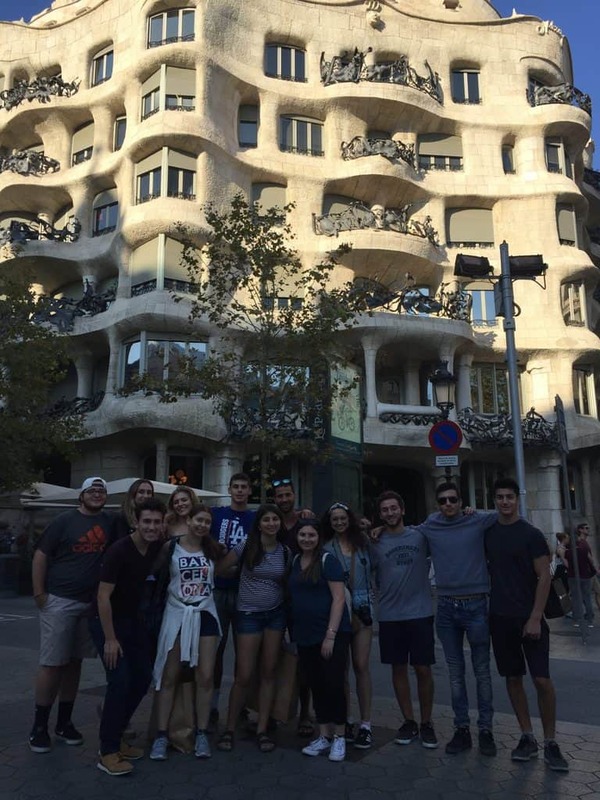 Gaudi had a massive impact on the city and this is the first of several of his sites that we will visit. With the help of an audio guide, we explored this magnificent and surreal building, including the roof terrace with amazing views of the city. 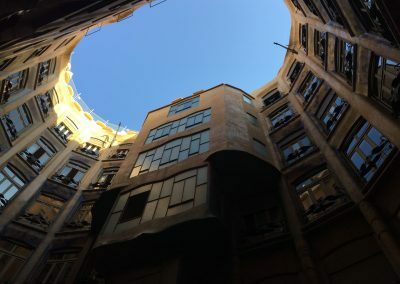 The apartments within the building were furnished in the style of the time (turn of the 20th century) and his brilliance and creativity was apparent to us all. We saw another of his buildings on our way to dinner, the Casa Battlo. Let’s just hope we don’t get too wet! What a great day we had today! I like to call it ‘The day of the Cathedrals’. To prepare for our experience in the cathedral we explored Judaism’s approach to other religions in general and Christianity in particular. Although we discussed that many authorities forbid entering a church (or more specifically a Catholic Church) I shared with the students the thought of Rabbi Jonathan Sacks who believes that other monotheistic religions such as Christianity and Islam are legitimate and true ways to worship God for non-Jews and we should respect them as thus. We used the hop-on-and-off bus once again today to get around Barcelona, this time the eastward bound green route. 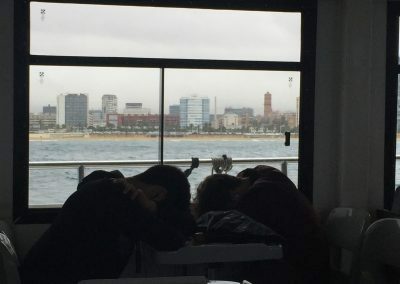 We explored the city’s eastern neighborhoods, along the beaches of Barcelona, and heard once again how vastly improved and gentrified the city has become since the 1992 Olympics. 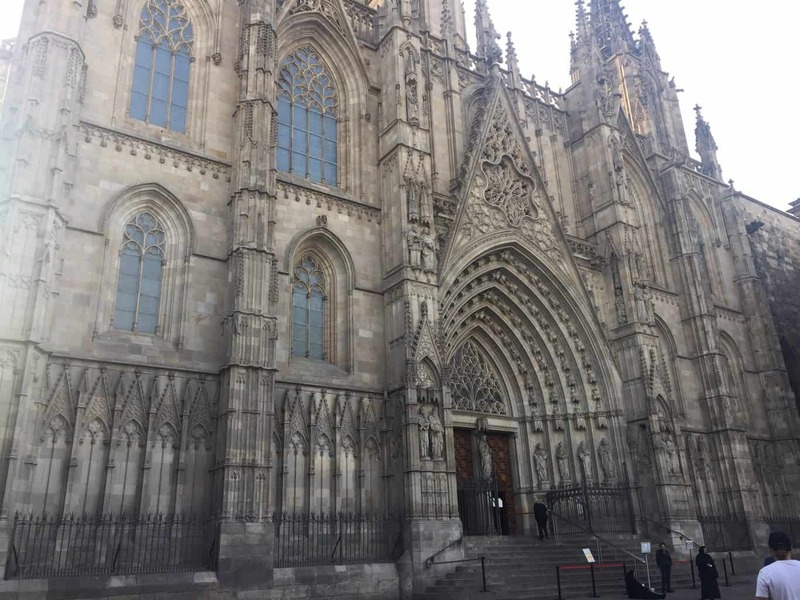 Our first stop off the bus was our second “cathedral of the day” (it is actually considered a basilica, one-step down from a cathedral, perhaps because it is not yet finished!) 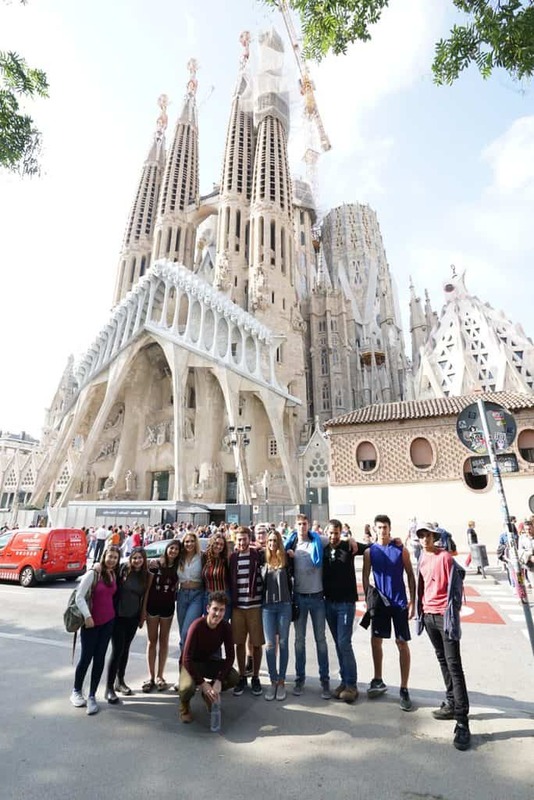 the Sagrada de Familia. 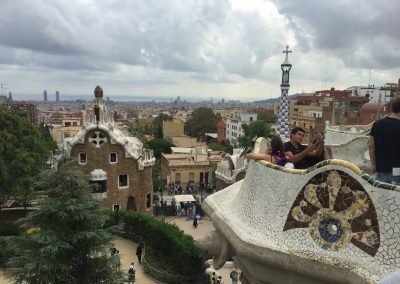 This is widely considered the most iconic and famous Barcelona landmark, and once again shows Antoni Gaudi’s massive influence on the city. This was a project of passion for him and he spent 40 years of his life dedicated to it. He died before he could complete it, and work is continuing to this day. The hope is that it will be complete by the centennial anniversary of his death in 2026. 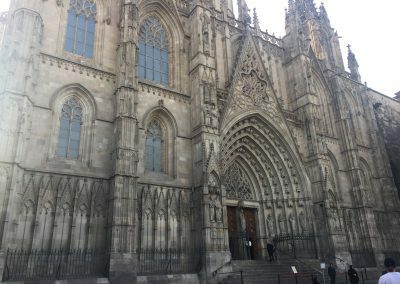 It felt like a cross between a cathedral and castle from a dystopian fairy tale, surreal yet magnificently beautiful. 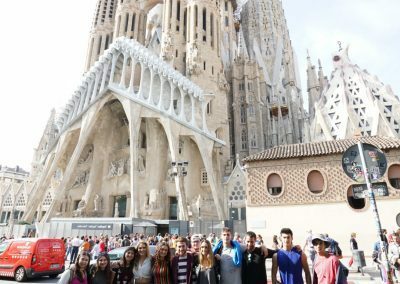 After this we hopped back on the bus and went to our last Gaudi landmark, the famous Park Guell, and ate lunch there. 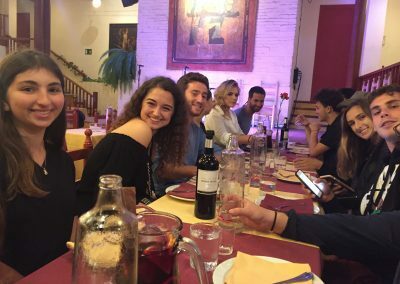 After some time to refresh ourselves in the hotel we went out for a quick supper on La Rambla before making our way on the metro subway to the game at the Camp Nou. 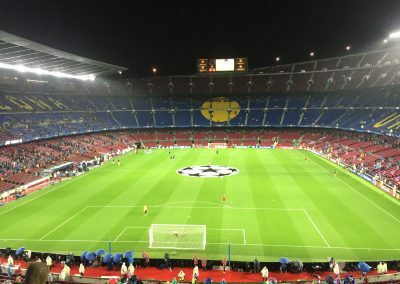 The weather, which had held out until now, gave way and the heavens opened, yet somehow it only contributed to a greater sense of atmosphere and excitement, as the city seemed to be full of Barca fans going to the game (as well as the odd Olympiakos fan from Greece). While the hop-on-off bus has been great over the last two days, it has been our own little tourist bubble. Riding on the metro it was fun to be out there with the real Barcelonans. The excitement was tangible when we left the subway and approached the stadium. Thousands of people heading in the same direction, all hoping to see their team victorious. And they weren’t disappointed. Barcelona was always going to win, arguably the best team in the world, playing a far inferior team from a small (in footballing terms anyway) country. But they didn’t make it easy for themselves and there was plenty of action. An own goal, a sending off, two disallowed goals, a Messi free kick that hit the back of the net, and a late Olympiakos consolation goal (if any of these terms are confusing to you please just ask your child. I have been schooling them.) 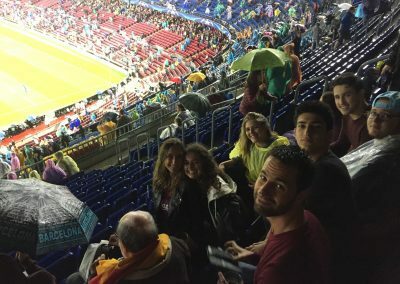 Barcelona, playing for most of the game with ten men, came away 3-1 winners, and everyone enjoyed the experience (and despite being wet and cold, no one complained. 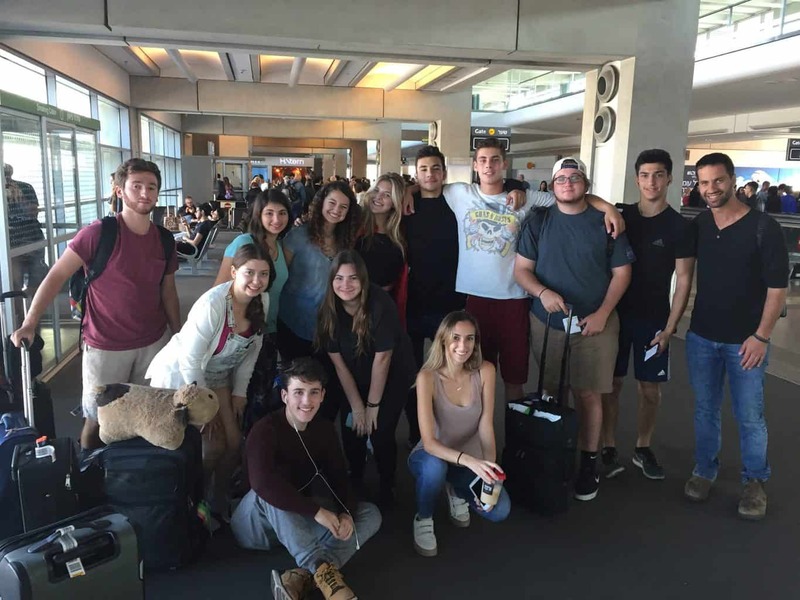 I am truly impressed with the group’s positive spirit and their continued efforts to have experiences and get the most from this trip). A special and meaningful moment for all of us was 17 minutes and 14 seconds into the game. Our guide from Monday had warned us to look out for this. 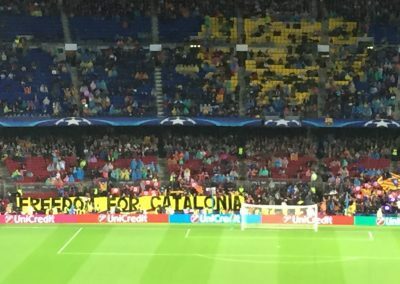 At that point of every Barcelona game cheers and songs for independence ring out and people wave banners and flags. The significance of the time is that the year 1714 was the last time there was Catalonian independence. The cheering began and the flags and banners came out at 17:14 and then Barcelona scored at 17:15. I turned to the Barcelona fan sitting next to me and said what a perfect time to score. He agreed and then replied, sadly, it is easier to score a goal than achieve independence. Tomorrow is our last day and we hope to make the most of every minute. No one wants to go home (well perhaps apart from me… I miss my family and I need more sleep!) and we have had the most fantastic time. 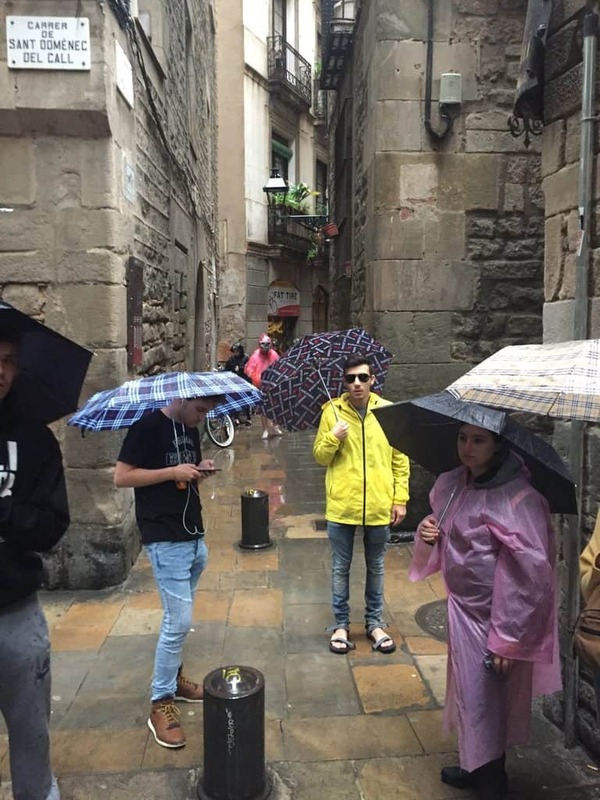 Hopefully the weather won’t get in our way tomorrow and we can enjoy our last few hours in Barcelona. I hope that I will write my last update from the airport waiting for our flight. Well we made it. To the airport at least. And not without some adventures on the way (we might just keep some of those between ourselves ;-). We are all tired and ready to go home but everyone has had an amazing week in Barcelona. 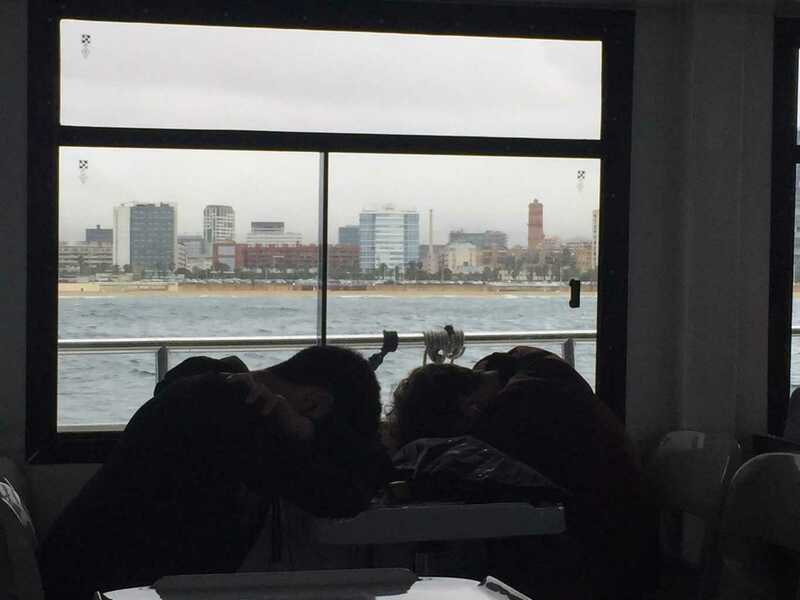 This was how our last day in Spain played out. 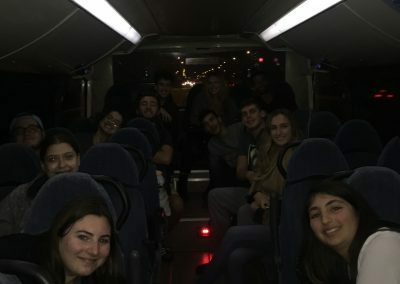 We checked out of the hotel (and ate breakfast for the last time… I think everyone is looking forward to a good Israeli breakfast tomorrow) and left the hotel to meet our guide from Girona, Adi, in the heart of the old Jewish quarter of Barcelona, right next to La Rambla. 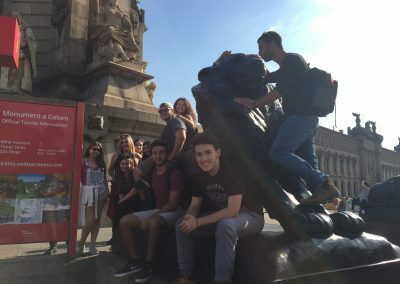 We actually met in the square where the Catalonian parliament sits, and he immediately showed us how the angle of the building is awkward and out of place. 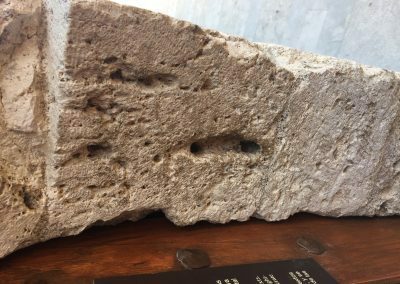 He explained that it is because part of the building was originally a synagogue and that it is built on the remains of the old Jewish quarter. 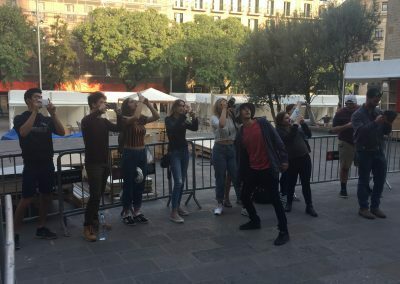 In square this morning there were perhaps 30 different film crews from news stations around the world ready to report on the current Catalonian crisis as the central Spanish government declared it is taking away Catalonia’s autonomy and the leader of Catalonia is deciding whether to declare independence. We are walking through history, past and future. Unfortunately, the weather was very poor today and it rained, often quite heavily, almost all day. 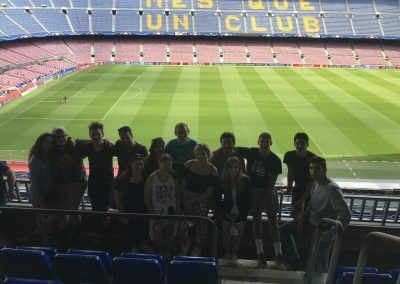 However, the students adopted a fantastic attitude and we all persevered, knowing these were our last few hours in Barcelona. After the square, we popped in to a tourist shop to buy umbrellas for everyone, which served us well throughout the day, and then we continued with our tour. 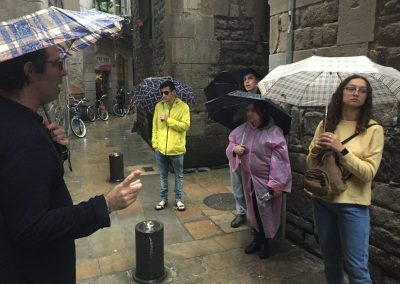 As we toured the ancient Jewish quarter we talked about the Golden Age of Spain and focused on some specific individuals who were from Barcelona, most notably Shlomo ben Aderet, the “Rashba”, a medieval Rabbi, Halachic scholar, and Talmudist who was born in Barcelona and who was a leader of Spanish Jewry in his time. We talked again about the Ramban and the Barcelona disputation and saw the King’s palace where the disputation actually happened. 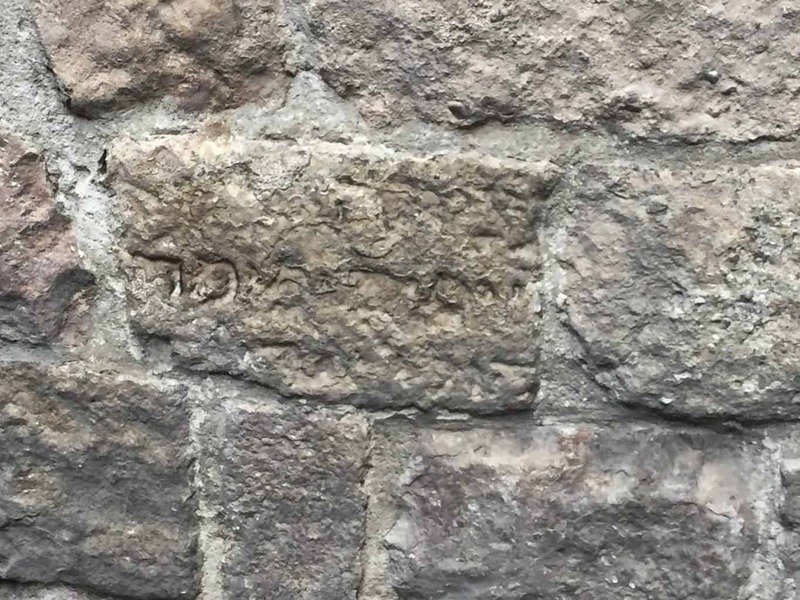 In the building bricks of some of the ancient walls we found stones with Hebrew inscriptions, and Adi told us that these had been removed from the Jewish cemetery on Mountjuic after the Jews were expelled. As sad a thought as that is, we agreed that it was powerful for us to be back visiting, from the State of Israel, to a place whose leaders 500 years ago thought that the end of the Jewish people had come. We also visited Sinagoga Major, said to be the oldest synagogue in Europe. This was a unique experience, more like entering a small cave and seeing remnants of what once was. The synagogue was only discovered when it was bought from the previous owner who was using it as a warehouse. 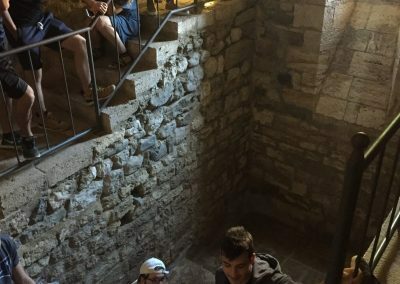 The Jewish community excavated it, and it is now a museum visited by thousands of Jews and non-Jews every year to learn about the Jewish history of Barcelona. Once we had bid farewell to Adi and thanked him for all the guiding and teaching of Jewish history over the two days we were with him, we went to the famous market just off La Rambla, Mercat de la Boqueria. The hustle and bustle and exotic foods there made it an exciting experience. 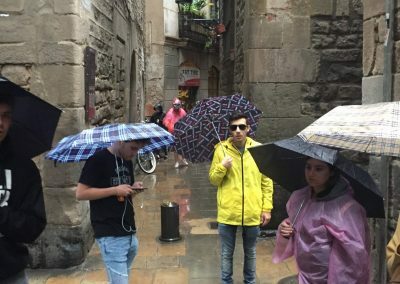 We then split up for lunch and had some last minute free time for shopping, our last stroll around La Rambla (we all agreed we had fallen in love with the famous street). 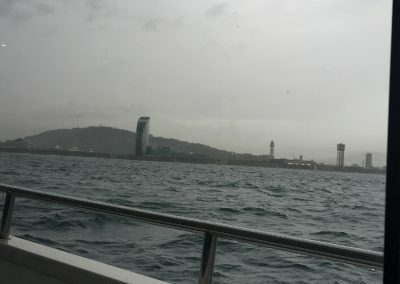 Then it was time to take our cruise along the Barcelona coast. I readily admit I created the itinerary based on the assumption that the weather was going to be great but sadly today it let us down. However, we had paid for the cruise so we went ahead and cruised! It was a little choppy, most of us sat downstairs undercover, and some of us felt a little green when we disembarked. There were even some who slept through it. 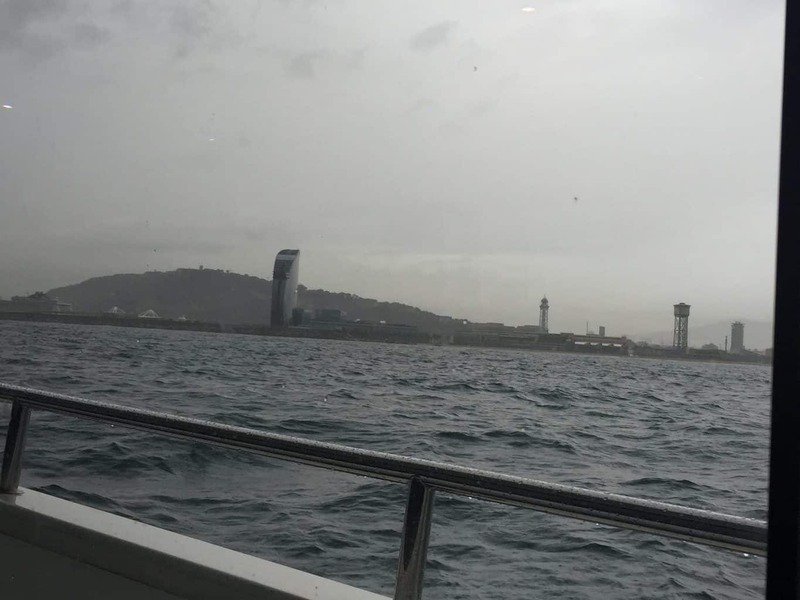 But it was nice to see the Barcelona coast from the sea, from the industrial port, to the Olympic village, to the beaches of Barcelona. By the end of the cruise the heavens had really opened so we took cover in the mall near the port and I treated everyone to Starbucks as we sheltered from the torrential rain. Eventually it stopped raining (or so we thought) and we started the 20 minute walk back to our hotel to get our bags and begin our journey home. Sadly the heavens had one more shower in store for us and we got quite soaked on the way back to the hotel. We are all looking forward to some sunshine in Israel tomorrow! After the hotel we walked to the kosher restaurant for our last supper, so to speak. Here I decided I wanted every student to tell us their highlight of the trip and someone they were thankful for and had connected to. 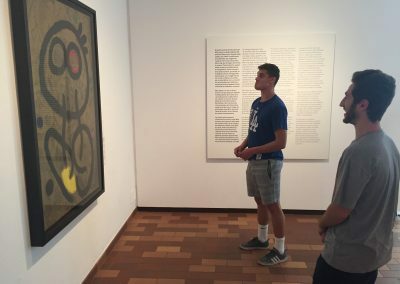 Everyone had meaningful things to say and the highlights ranged from the football game, to the art and culture, to the Jewish history. This trip really had something for everyone. On a personal note, I have truly enjoyed getting to know your children, and you should all know that without exception they are all wonderful people with potential and heart. Some of them started calling me abba (horrifying as I am not old enough to be their parent. Except I actually am) and I take that as the ultimate compliment, and indicative of the relationship I have formed with them over this week. You should all be very proud. As am I.